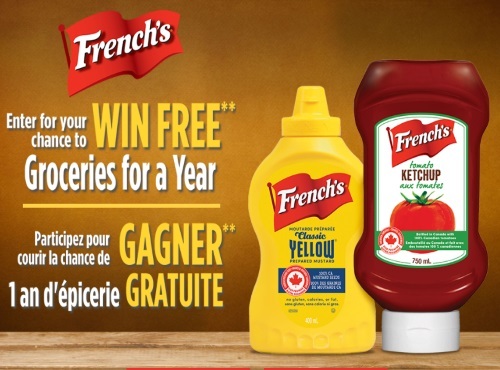 Enter for a chance to win Free Groceries for a Year from French's! There are 3 Grand Prizes with a value of $7,500 each. Plus, each week, there is a chance to win 1 of 2 $500 grocery gift cards from your favourite grocery retailers. Upload a receipt showing your purchase of French's Ketchup or French's Mustard, for your chance to win. Product must have been purchased between May 5 and July 27, 2017. Limit of one (1) entry per person and household per week.